A cyclist rides past the Franklin Square fountain shortly after the conclusion of the Chinese Lantern Festival in June 2017. 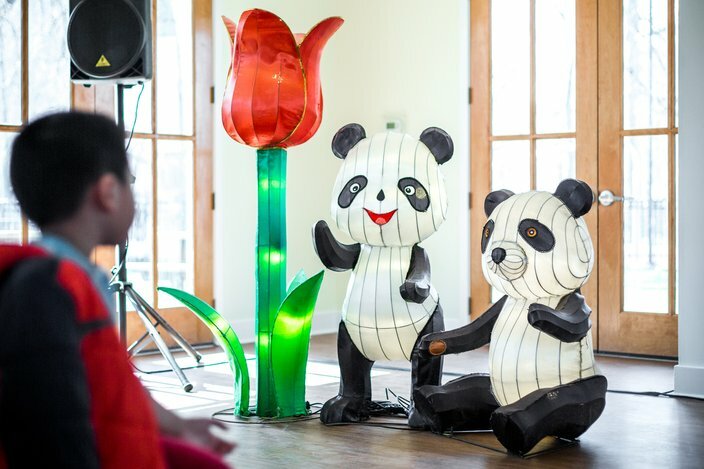 The Philadelphia Chinese Lantern Festival will return to Franklin Square for the third year this summer. For five weeks, the park will be illuminated by handcrafted lanterns constructed by artisans from China. Each lantern is a steel-framed and silk-wrapped, illuminated sculpture. The 200-foot Chinese dragon and beloved pandas will return, but all other creations will be new, so those who have visited the festival in past years will get to see something completely different. It's hard not to smile when you see these adorable pandas. There will be lanterns celebrating the Year of the Dog, the premiere of a new Fairy Tree, a walk-through Great White Shark Tunnel and an interactive elephant lantern where visitors will pedal a bicycle to change its colors. In addition, there will be authentic cultural performances – like the art of face-changing and Chinese acrobatic acts – and a special video showing how the Chinese lanterns are created. As for food and drink, the Dragon Beer Garden will return and there will be a mix of Asian and American cuisine. 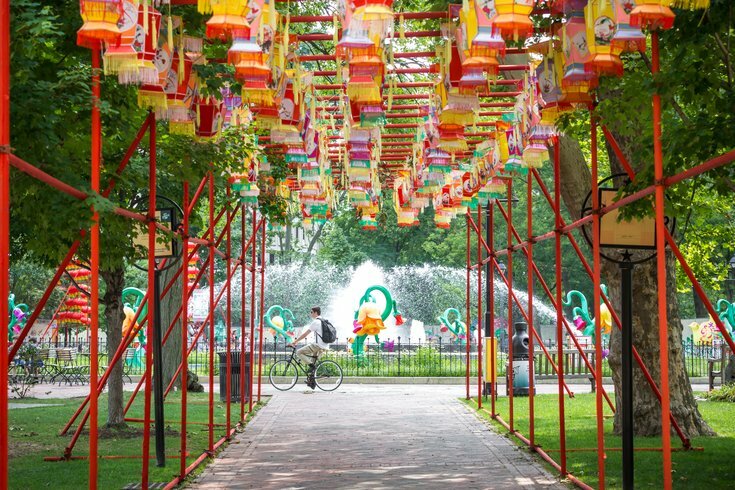 The 2018 Philadelphia Chinese Lantern Festival will begin Tuesday, May 1, and end Saturday, June 30. Online tickets are now available. Admission to Franklin Square will be free during the day. Starting at 6 p.m., the festival will become a ticketed event. Tickets are $18 for adults, $12 for youth and $15 for seniors and military.